(TibetanReview.net, Mar18’19) – Traders across India belonging to an organization called Indian traders association (CAIT) will launch a campaign to boycott Chinese goods with burning Chinese imports on Mar 19 during the festival of Holika, before Holi, reported businesstoday.in Mar 16. It said CAIT had a membership of 70 million traders. 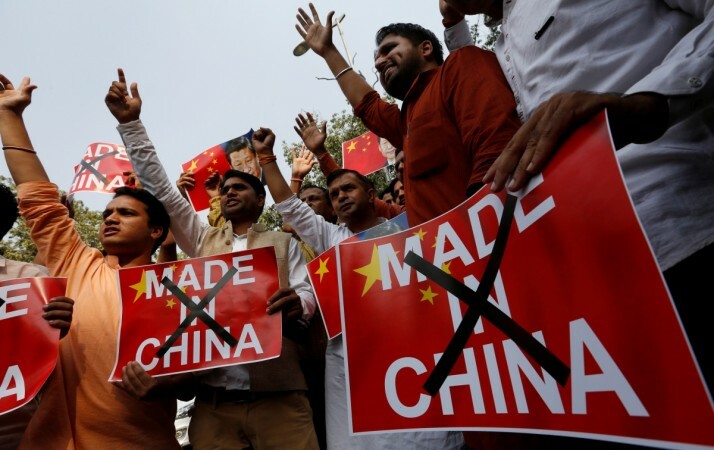 The boycott is in protest against China’s blocking on Mar 13 of Pakistan-based Masood Azhar being declared a global terrorist by the United Nations Security Council (UNSC). He is the leader of the UN banned terror group Jaish-e-Mohammed’s (JeM) which claimed responsibility for the recent suicide attack in Kashmir which claimed the life of more than 40 Indian paramilitary CRPF personnel. The motion to designate Azhar under the 1267 Al Qaeda Sanctions Committee of the UNSC was moved by US, France and UK but shot down for the fourth time since 2009 by China which as before demanded “concrete evidence”, ignoring those presented by India. It also wanted the matter to be settled between India and Pakistan through discussions. CAIT has said the boycott event would be held at about 1,500 places across the country. In Delhi, it will be held at Sadar Bazar, a major Chinese imports hub. CAIT has also asked New Delhi to levy 300 per cent to 500 per cent customs duty on imports from China and investigation of Chinese import for possible money laundering rackets. Despite a recent dip, India’s trade deficit with China continues to remain high: it being US$ 51.75 billion for 2017.